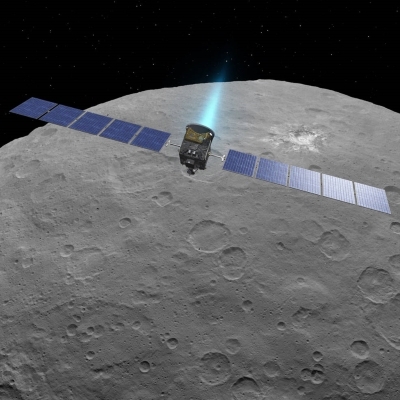 Readers of this blog will know that I have been very enthusiastic about NASA’s Dawn space probe which spent a long time investigating first Vesta, and then for a rather longer time Ceres, before eventually running out of fuel and being decommissioned. The results from that mission have substantially changed our perception of the asteroid belt, and in particular have confirmed the ubiquity of water ice in all parts of the solar system. Of course, it also raised a lot of questions, such as what was responsible for bright surface markings on Ceres, and how the dwarf planet could apparently have supported both ammonia deposits and a large ocean at various times in its history. Anyway, I read this week that NASA is considering a smaller and cheaper mission to the third largest asteroid, Pallas. 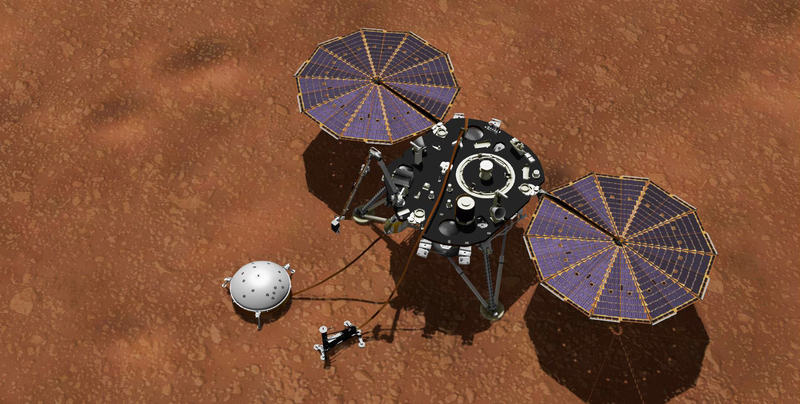 If approved – and the decision will be made later this month – this would launch in August 2022, which gives it a suitable orbit for a gravity assist from Mars. Unlike Dawn, the low price tag means that this is a flyby mission rather than one that aims to go into orbit, so it will be a case of capturing whatever data can be obtained in a relatively short span of time. Basically, it’s cheaper and easier to just race past somewhere, rather than carry the fuel to slow down and be captured gravitationally. Nevertheless, it should provide another batch of results to extend our knowledge of the diverse objects making up the asteroid belt. And in particular it will give some more solid information that – no doubt – wil one day find its way into my Far from the Spaceports series! And in entirely unrelated news, last Friday I had the pleasure of participating in Helen Hollick’s blog series “Novel Conversations”, which focused on an interview with a character. In my case this was Brendan mab Emrys, who some people will know as the bard in the Arthurian section of Half Sick of Shadows. The interview can be found at Helen’s blog. And if you navigate over that way, you will also find an extract. Finally, it would be sad to finish this blog post without briefly saying RIP Google+, which until yesterday was a place I shared out blog posts, nature photos, and other similar things. My science fiction books – Far from the Spaceports and Timing, plus two more titles in preparation – are heavily built around exploring relationships between people and artificial intelligences, which I call personas. So as well as a bit of news about one of our present-day AIs – Alexa – I thought I’d talk today about how I see the trajectory leading from where we are today, to personas such as Slate. Before that, though, some news about a couple of new Alexa skills I have published recently. The first is Martian Weather, providing a summary of recent weather from Elysium Planitia, Mars, courtesy of a public NASA data feed from the Mars Insight Lander. So you can listen to reports of about a week of temperature, wind, and air pressure reports. At the moment the temperature varies through a Martian day between about -95 and -15° Celsius, so it’s not very hospitable. Martian Weather is free to enable on your Alexa device from numerous Alexa skills stores, including UK, US, CA, AU, and IN. The second is Peak District Weather, a companion to my earlier Cumbria Weather skill but – rather obviously – focusing on mountain weather conditions in England’s Peak District rather than Lake District. Find out about weather conditions that matter to walkers, climbers and cyclists. This one is (so far) only available on the UK store, but other international markets will be added in a few days. Current AI research tends to go in one of several directions. We have single-purpose devices which aim to do one thing really well, but have no pretensions outside that. They are basically algorithms rather than intelligences per se – they might be good or bad at their allotted task, but they aren’t going to do well at anything else. We have loads of these around these days – predictive text and autocorrect plugins, autopilots, weather forecasts, and so on. From a coding point of view, it is now comparatively easy to include some intelligence in your application, using modular components, and all you have to do is select some suitable training data to set the system up (actually, that little phrase “suitable training data” conceals a multitude of difficulties, but let’s not go into that today). Then you get a whole bunch of robots intended to master particular physical tasks, such as car assembly or investigation of burning buildings. Some of these are pretty cute looking, some are seriously impressive in their capabilities, and some have been fashioned to look reasonably humanoid. These – especially the latter group – probably best fit people’s idea of what advanced AI ought to look like. They are also the ones closest to mankind’s long historical enthusiasm for mechanical assistants, dating back at least to Hephaestus, who had a number of automata helping him in his workshop. A contemporary equivalent is Boston Dynamics (originally a spin-off from MIT, later taken over by Google) which has designed and built a number of very impressive robots in this category, and has attracted interest from the US military, while also pursing civilian programmes. Then there’s another area entirely, which aims to provide two things: a generalised intelligence rather than one targeted on a specific task, and one which does not come attached to any particular physical trappings. This is the arena of the current crop of digital assistants such as Alexa, Siri, Cortana and so on. It’s also the area that I am both interested in and involved in coding for, and provides a direct ancestry for my fictional personas. Slate and the others are, basically, the offspring – several generations removed – of these digital assistants, but with far more autonomy and general cleverness. Right now, digital assistants are tied to cloud-based sources of information to carry out speech recognition. They give the semblance of being self-contained, but actually are not. 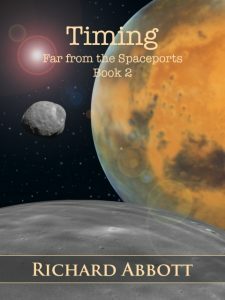 So as things stand you couldn’t take an Alexa device out to the asteroid belt and hope to have a decent conversation – there would be a minimum of about half an hour between each line of chat, while communication signals made their way back to Earth, were processed, and then returned to Ceres. So quite apart from things like Alexa needing a much better understanding of human emotions and the subtleties of language, we need a whole lot of technical innovations to do with memory and processing. As ever, though, I am optimistic about these things. I’ve assumed that we will have personas or their equivalent within about 70 or 80 years from now – far enough away that I probably won’t get to chat with them, but my children might, and my grandchildren will. I don’t subscribe to the theory that says that advanced AIs will be inimical to humankind (in the way popularised by Skynet in the Terminator films, and picked up much more recently in the current Star Trek Discovery series). But that’s a whole big subject, and one to be tackled another day. 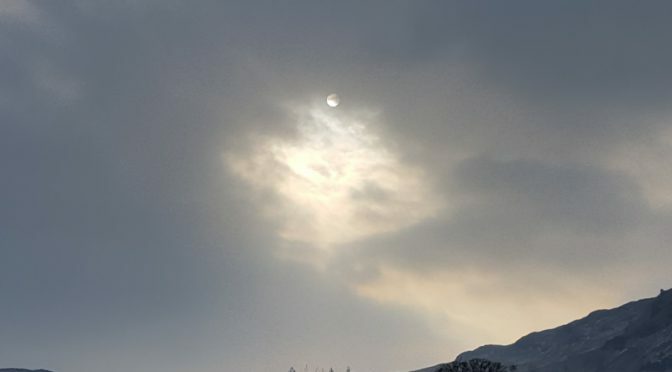 Meanwhile, you can enjoy my latest couple of Alexa skills and find out about the weather on Mars or England’s Peak District, while I finish some more skills that are in progress, and also continue to write about their future. In my science fiction stories, I write about artificial intelligences called personas. They are not androids, nor robots in the sense that most people recognise – they have no specialised body hardware, are not able to move around by themselves, and don’t look like imitation humans. They are basically – in today’s terminology – computers, but with a level of artificial intelligence substantially beyond what we are used to. Our current crop of virtual assistants, such as Alexa, Cortana, Siri, Bixby, and so on, are a good analogy – it’s the software running on them that matters, not the particular hardware form. 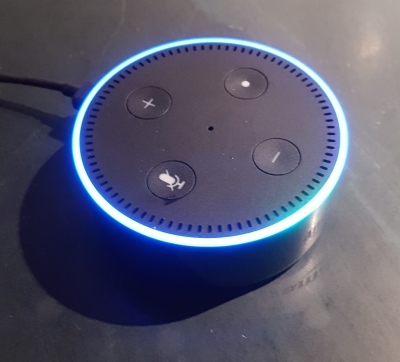 They have a certain amount of built-in capability, and can also have custom talents (like Alexa skills) added on to customise them in an individual way. “My” Alexa is broadly the same as “yours”, in that both tap into the same data store for understanding language, but differs in detail because of the particular combination of extra skills you and I have enabled (in my case, there’s also a lot of trial development code installed). So there is a level of individuality, albeit at a very basic level. They are a step towards personas, but are several generations away from them. Now, one of the main features that distinguishes personas from today’s AI software is an ability to recognise and appropriately respond to emotion – to empathise. (There’s a whole different topic to do with feeling emotion, which I’ll get back to another day). Machine understanding of emotion (often called Sentiment Analysis) is a subject of intense research at the moment, with possible applications ranging from monitoring drivers to alert about emotional states that would compromise road safety, through to medical contexts to provide early warning regarding patients who are in discomfort or pain. Perhaps more disturbingly, it is coming into use during recruitment, and to assess employees’ mood – and in both cases this could be without the subject knowing or consenting to the study. But correctly recognising emotion is a hard problem… and not just for machine learning. Humans also often have problems recognising emotional context. Some people – by nature or training – can get pretty good at it, most people are kind of average, and some people have enormous difficulty understanding and responding to emotions – their own, often, as well as those of other people. There are certain stereotypes we have of this -the cold scientist, the bullish sportsman, the loud bore who dominates a conversation – and we probably all know people whose facility to handle emotions is at best weak. The adjacent picture is taken from an excellent article questioning whether machines will ever be able to detect and respond to emotion – is this man, at the wheel of his car, experiencing road rage, or is he pumped that the sports team he supports has just scored? It’s almost impossible to tell from a still picture. A fascinating – and unresolved – problem is whether emotions, and especially the physical signs of emotions, are universal human constants, or alternatively can only be defined in a cultural and historical context. Back in the 1970s, psychological work had concluded that emotions were shared in common across the world, but since then this has been called into question. The range of subjects used for the study was – it has been argued – been far too narrow. And when we look into past or future, the questions become more difficult and less answerable. Can we ever know whether people in, say, the Late Bronze Age experienced the same range of emotions as us? And expressed them with the same bodily features and movements? We can see that they used words like love, anger, fear, and so on, but was their inward experience the same as ours today? Personally I lean towards the camp that emotions are indeed universal, but the counter-arguments are persuasive. And if human emotions are mutable over space and time, what does that say about machine recognition of emotions, or even machine experience of emotions? One way of exploring these issues is via games, and as I was writing this I came across a very early version of such a game. It is called The Vault, and is being prepared by Queen Mary University, London. In its current form it is hard to get the full picture, but it clearly involves a series of scenes from past, present and future. Some of the descriptive blurb reads “The Vault game is a journey into history, an immersion into the experiences and emotions of those whose lives were very different from our own. There, we discover unfamiliar feelings, uncanny characters who are like us and yet unlike.” There is a demo trailer at the above link, which looks interesting but unfinished… I tried giving a direct link to Vimeo of this, but the token appears to expire after a while and the link fails. You can still get to the video via the link above. Meanwhile, my personas will continue to respond to – and experience – emotions, while I wait for software developments to catch up with them! And, of course, continue to develop my own Alexa skills as a kind of remote ancestor to personas. Two quick bits of space news this week that – all being well – could make their way into a story one day. The first was an idea of powering space probes by steam. Now, at first read this sounds very retro, but it deserves some thought. In space, you can’t move along by means of steam pressure turning wheels – there is nothing against which to gain traction. Steam-propelled rockets work like any other rocket – something gets ejected at great speed in one direction, so as to accelerate the rocket in the opposite direction. The steam engine part of the probe is a means of converting the fuel supply into something that can be directed out of the thruster nozzle. The steam, heated as hot as possible to give a high nozzle exit temperature, is the propellant. The cool thing about pushing steam out of the back, is that it comes from water, and in particular ice. And, as we have been discovering over the last few decades, water ice is extremely common throughout the solar system, and more widely through the universe. So as and when the steam-powered spaceship starts to run low on fuel, it can land on some promising object and collect some more ice. The fuel supply, while not strictly unlimited, is vastly common wherever we’re likely to go. As and when needed, solar panels or (further from the sun) a standard radioactive decay engine can give a boost, but the steam engine would do the grunt work of getting from one refueling station to the next. Secondly, pursuing my occasional theme of alcohol in space, I read about a firm from Georgia (the country, not the US state) that wants to develop grape varieties that would survive on Mars and, in due course, be convertible into decent wine. This would be a serious challenge, given the low air pressure, high carbon monoxide levels, and wide temperature swings of said planet. As a rough rule of thumb, the air at the Martian surface is about the same as at 20,000′ here on Earth. Apparently, white varieties are reckoned to be more adaptable than red, but I suspect that we are a little way away from resounding success here. Other attempts to ensure that future space travellers will not have to go without booze include Budweiser sending barley seeds into space to identify the effect of microgravity on germination, steeping and kilning – three steps in the production of malt. See this link. Allegedly, also, a bottle of Scotch Whisky spent three years on the ISS before returning to Earth for analysis… the resulting taste was said to be disappointing. I hope the ISS crew got a few measures out of the bottle before sending it back down again. Last week’s blog post, all about alcohol and law, triggered a number of interesting discussions, and one of them (from a Goodreads friend) has inspired this post. It all started with my brief comment about the prospects of brewing on the ISS, up in the microgravity of low earth orbit. But before we get into space, let’s think about what happens during fermentation. (I’m going to mostly focus on beer in this post but similar comments could probably be made about wine). 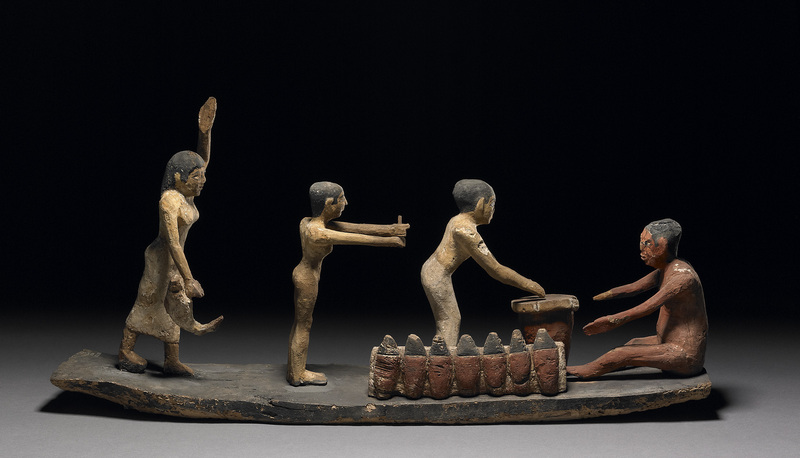 People have been brewing beer for many thousands of years – in Egypt the process was well-organised long before 2000BC, and the earliest confirmed evidence for beer-making that I am aware of is from the 5th millennium BC, at Godan Tepe in modern Iran. I strongly suspect the history is much longer, and that more evidence will turn up in time. Beer making has been credited with all kinds of benefits to humanity, including driving an early wave of technological development. Quite apart from the enjoyment factor. 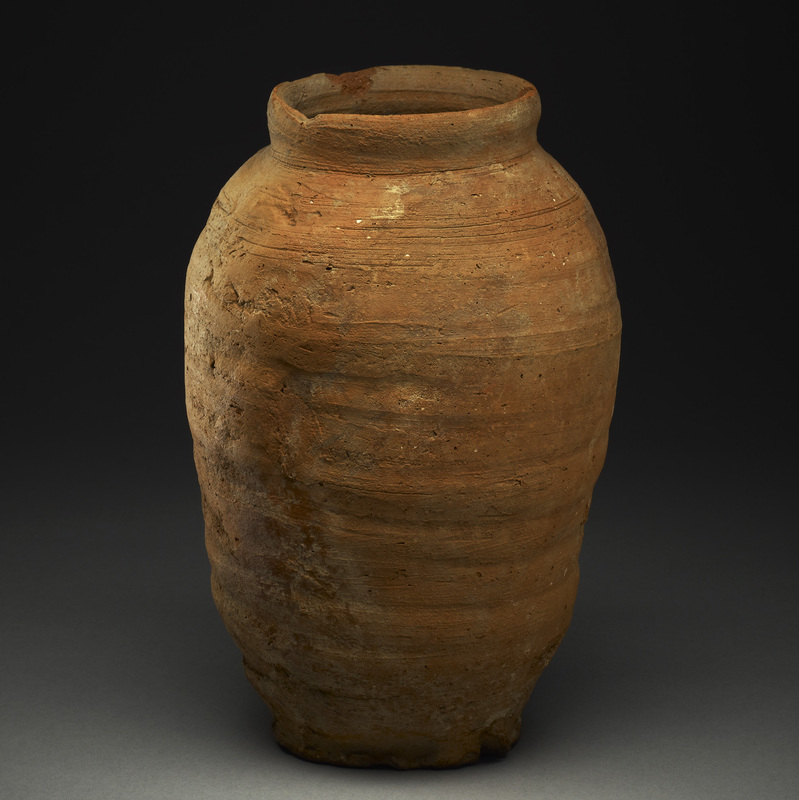 Back then, and for a great many years subsequently, beer was made in open fermentation vessels – basically very large pottery containers, semi-porous and so holding on to residues of yeast and the like. It was often a spin-off of the bread-making industry, seeing as how you needed yeasts and grains for both. Both bread- and beer-making have had, at times, vaguely magical or alchemical associations – these very ordinary foodstuffs are hidden away in a very ordinary vessel, and over the course of a few days they transform into something quite extraordinary. In early times, hops were not added (this seems to have been introduced in the middle ages), but people did sometimes add other flavourings such as fruit or spice extracts. Now, during fermentation the yeasts work with the various sugars in the raw mixture, together with oxygen in the air at the top surface, and convert these into alcohol and CO2. The process is self-limiting – yeasts eventually kill themselves in too high a proportion of alcohol, so fermentation slows and stops. A brewer can choose whether to let the process go on to completion, or stop it early. An early finish means lower abv (alcohol by volume… the strength of the brew) and a sweeter drink. In olden days, I suspect brewers had conventions about how many days to leave the mixture – nowadays brewers have a more mathematical set of targets to do with final abv balanced against taste. Also, large breweries are very interested in keeping consecutive batches consistent about strength and flavour, whereas a domestic brewer, or someone in pre-industrial days, was less bothered about this. Finally, carbonation. If you are brewing in an open-top vessel, all the CO2 generated simply goes out into the air. And if you are brewing at room temperature, especially in a hot climate like Egypt, not much gas is held in the liquid anyway. Nowadays we brew and store beer at specific temperatures in order to achieve a target level of carbonation. The colder the beer, the more gas it can retain, and then release as the drinker opens it up at room temperature. You brew for the preferences of your target market – lots of fizz (as in many lagers) or hardly any (as in many real ales). That brings us onto the specific issue that triggered these fine discussions. What happens in low gravity? Not a problem in ancient Egypt, but looking ahead it’s an issue we will want to solve. Consider a modern fermentation vessel – a cylinder, usually with a cone at the base, and considerably taller than a person. As yeast ferments here on earth, different groups of yeasts arrange themselves at different levels in the vessel – some near the top and others near the bottom. This reflects slightly different ways in which they turn the sugars into alcohol… the sugar level varies in a gradient as you go up and down the vessel. As the yeast becomes exhausted, and starts to die because of the alcohol percentage, the yeast particles sink into the cone, taking with them some of the other residues like hops, grain particles and so on. The beer slowly clarifies by itself, though most brewers also use specific methods to end up with a clear rather than cloudy beer. That’s fine here on Earth… but in orbit several problems arise. First, there is no real sense of up and down. So a yeast that is used to being near the top of a vessel, with its preferred environment of sugars and whatever, does not know where to go. Likewise, as they finish their job and die from overindulgence in alcohol, there is no “down” direction into which they can settle. Finally, there’s no particular reason why the liquid would stay in one clump – you could easily end up with several disjoint blobs of liquid, with varying proportions of the yeast you had added, each fermenting to different extents. So this was the point I got to in my Goodreads discussion, which triggered several follow-up chats here in Grasmere. 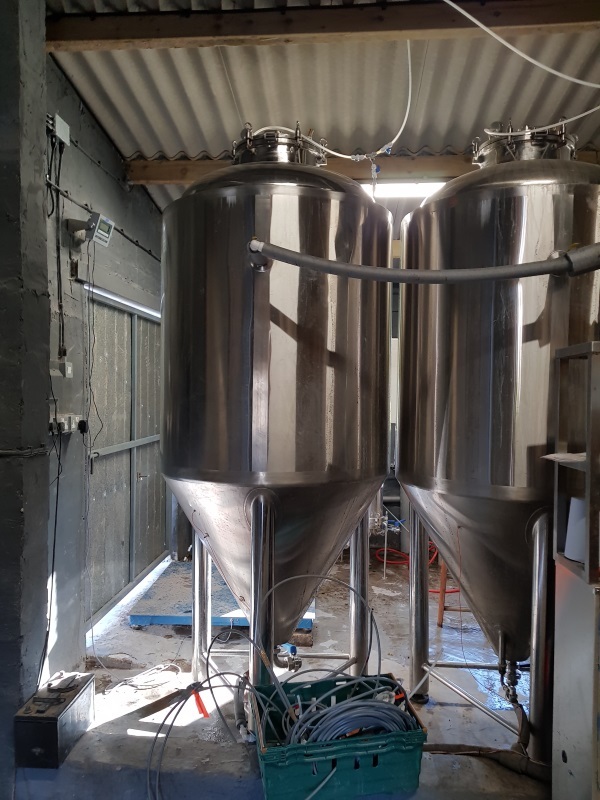 Not that we’re (yet) planing on an orbital version of our various beers and ales, but it is good to be ready for the future! The best answer we could come up with was to artificially introduce a sense of up and down by means of a kind of slow-speed centrifuge. Not so fast as to drive all the solid matter to the outside too quickly, seeing as you need it spread through the liquid at first, but fast enough that the liquid stays in one body, and the yeast can tell which tell which way is up and down. (As a side issue, you’d probably want two of these, rotating in opposite directions, so as not to off-balance the space station itself). The fermentation will generate CO2, and you don’t want to just dump that into the cabin air supply, so you capture that with a safety valve coming out along the spindle (the “top” of the vessel). That can then either be kept for later use – as many breweries fixed here on Earth do, so as to reuse a resource which costs real money – or fed slowly back into whatever air-purification system takes your fancy. 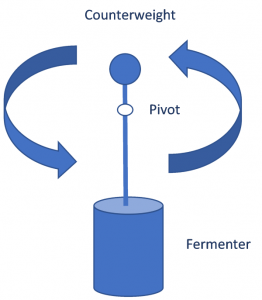 When the time comes to clarify your beer, you just spin the centrifuge faster and let the solid particles accumulate in the “bottom”, taking the splendidly clear beverage out of the “top”. I heard today that I had passed the study element of a Personal Alcohol Licence, which (after I have gone through a police background check and a few other formalities) allows me to authorise the sale of alcohol in England and Wales. Not in Scotland, Northern Ireland, or indeed anywhere else in the world, but I guess you have to start somewhere. Now, this is far from my most advanced academic qualification, but the intriguing thing about this one is that it legally entitles me to supervise – and therefore take legal responsibility for – the public sale of what is undoubtedly a kind of drug. Without the licence, I can work under someone else’s supervision, but cannot just set up and flog booze on my own account. With it, and subject to a bunch of other constraints, I can do just that. You can imagine that a fair proportion of the material, and the final test, focused around UK law relating to drink. There are obvious things to do with the age of the drinker, but I also learned that it is a specific legal offence to sell alcohol to someone who (in the considered opinion of the seller) is already drunk. Too much like shooting fish in a barrel, I suppose. Most of the laws fit around common sense, though as with any body of legal material you are left a little perplexed as to why specific conditions were imposed. Anyway, all this set me thinking about law and qualification. The government of the day, however it was decided, has for a very long time indeed decided that it is entitled to a certain proportion of the profits from various kind of sales – and alcohol has typically been way up the list. And of course where rulers try to enforce a ruler, some subjects will concoct cunning schemes to get around the additional expense – excise duty spawns groups of smugglers almost by definition. But you only risk smuggling goods where the financial equation makes sense – small, easily concealed items where the tax duty is high enough that you can pocket a decent cut for yourself, while still leaving the buyer feeling they have done very well out of the deal. So customs duties, and the body of regulations which underpin them, have been around for millennia. And – typically – part of those regulations consists of ways to appoint specific individuals as those few who are allowed to make transactions. In days of old, one suspects that many of these appointments were based on nepotism or bribery… if you had the right connections, or could stump up enough starting cash, you could find yourself in a comfortable position and set up for life. 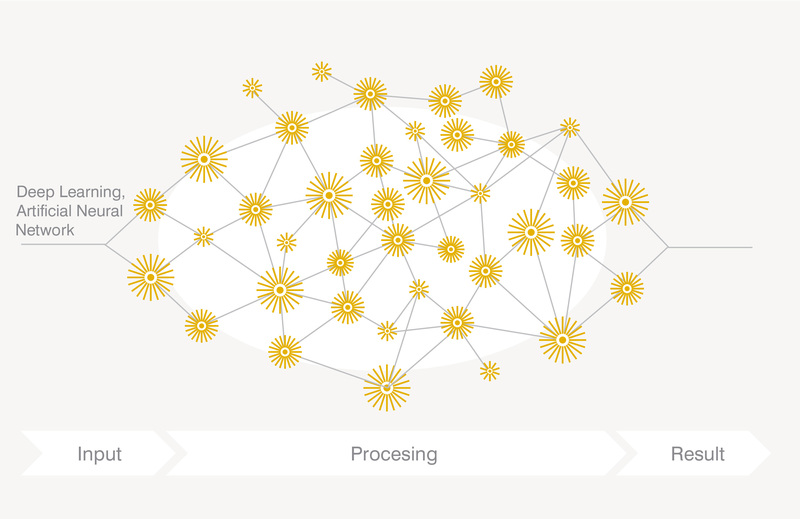 Nowadays the process is rather more transparent, and the barriers to entry are very much lower. But equally, things have been tightened up in other ways. A couple of hundred years ago, it was fairly common for ex servicemen to use their prize money, or sign-off pay, or whatever they had saved up, to buy a little inn somewhere, and make a tidy living brewing or distilling booze of widely varying quality, and plying locals with the results. (Any pub you find called the Marquis of Granby recalls charitable donations by this 18th century gentleman who donated money to wounded servicemen). Provided you could afford a small building and a few bits and pieces to do the fermentation, you could set yourself up, no questions asked. These days, you have to go through hoops like planning permission, health and safety, police, plus of course getting a premises licence. There are all kinds of reasons why an apparently sound business plan might be rejected by officialdom. So that is looking back… but what about forwards? 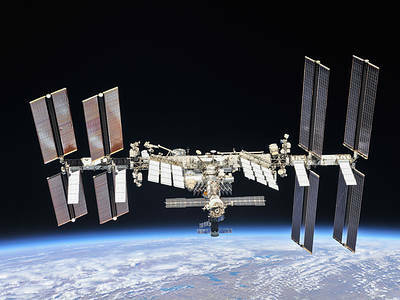 Right now the only human outpost we have away from the Earth is the ISS. It’s not very far away – about 400km above the surface of the Earth, less than the distance from one end of England to the other. And I don’t suppose that the occupants have much privacy or opportunity to set up fermentation or a distillery up there. Though I did hear today that Budweiser has funded one of the science experiments on board, seeking to improve strains of barley with increased resistance to environmental stress. So maybe next year someone wil fund a experiment to make beer up there and see how yeasts behave in microgravity! 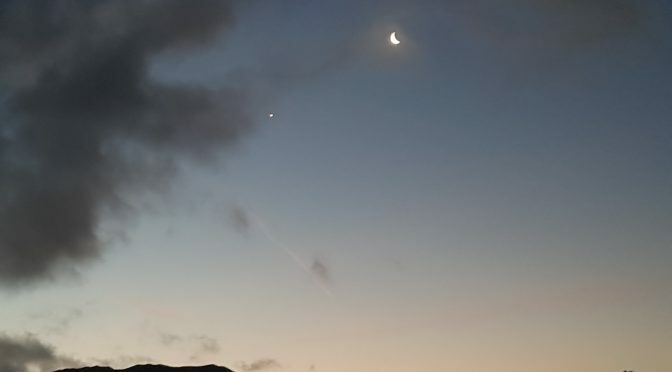 But let’s assume that within the next couple of decades we have an outpost or two somewhere else – the Moon, say, or Mars, or even a privately operated space station. How likely is it that nobody will attempt to ferment fruit or vegetable juices? And whose laws will be applied to regulate such an operation? Now run the scenario on a few more years, into the solar system I imagine for Far from the Spaceports and its sequels. There are a decent number of scattered habitats, each separated from the others by at least days, often weeks, and sometimes months of travel time. It will, I suspect, become impossible to try to enforce some kind of uniform system of laws. My guess is that each habitat will have its own local set of laws and customs – no doubt broadly consistent with each other, but differing in detail. Sure, you can send a message anywhere in the solar system within a day at most, but if you get a tip-off that the habitat on Charon is bootlegging some kind of moonshine drink that is not allowed on the Moon, it’s going to take your police three or four months to trek out there and investigate. Will they bother? In that kind of situation, I don’t think it is feasible to try to maintain a single unified system of laws and regulations. So now suppose I have trained for my personal alcohol licence here on Earth (which in fact I did), and then decide on a whim to travel out to Charon. Will a publican out there recognise my licence? Or will he or she make me study for a duplicate one, ending up with a signature of someone on Charon rather than Earth? 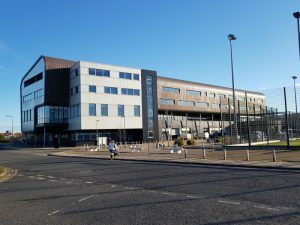 Right now, in the present day, it is extraordinarily hard to transfer qualifications between countries in professions like teaching, nursing, psychotherapy, and so on – will things be any different when we’re scattered across a few dozen habitats? I suspect not, especially as my own new licence doesn’t even allow me to do stuff in Scotland! All of which is why I like writing about that near-future band of time, when there is no Federation, no Galactic Empire, or whatever – only local enforcement of issues according to moral and social principles which makes sense to the occupants. I suspect the chief coordinating factor would be economic – if you felt that some particular habitat was doing things the wrong way, you wouldn’t trade with them. They would become isolated, and there’s nowhere in the solar system away from Earth that can actually be self-sufficient. Hence I write about economic and financial crime, as these are the things that seriously threaten lives and livelihoods. Last week, NASA’s Dawn space probe, which first launched back in 2007, finally ran out of fuel and has been declared dead. Regular readers will know that Dawn has been a great source of information and inspiration for me as I have been creating the future world of Far from the Spaceports, Timing, and the in-progress The Liminal Zone. So it seemed fitting to me to do a kind of tribute to Dawn here. 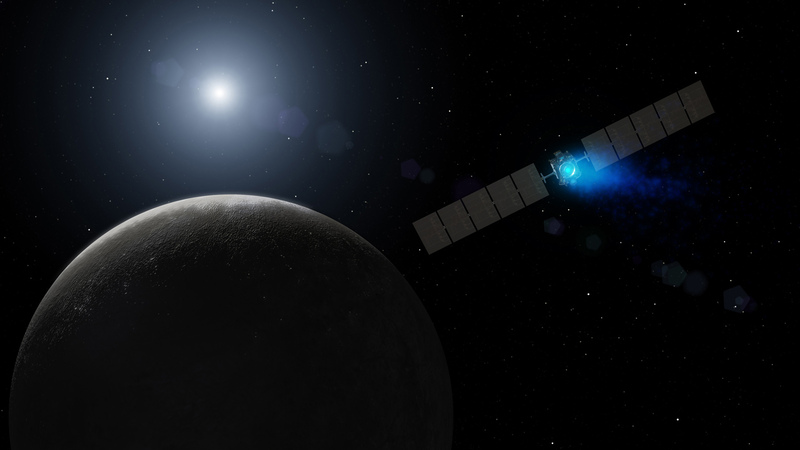 Of course, Dawn is not going anywhere – it will remain in its current orbit around Ceres for decades at least, until some combination of inevitable gravitational perturbations distorts that orbit enough that it eventually crashes into the surface. But there will be no more navigation from Dawn, no more course correction, no more photos or science information. I want to talk a bit about Dawn’s ion drive, in the connection of storytelling, but if you want pictures and information about the mission findings, the best place to start is the NASA site, which has separate pages for Vesta and Ceres. So, the ion drive. Most craft up to now have used chemical rockets – two or more chemicals are stored separately, then mixed to form a high-energy burst of propulsion. For example, the latest SpaceX SuperDraco engine uses the two liquids nitrogen tetroxide and Monomethylhydrazine. The net effect is that the spacecraft is pushed with high acceleration in a particular direction. After this engine burn, the craft coasts with no further propulsion for days or months, until it’s time for another correction. Astronauts in the craft have to endure short periods of high g-forces, followed by long periods of weightlessness. The engine burns have to be very precisely calculated for direction, force, and duration, so as to minimise the need for subsequent burns. Once the fuel is gone, it’s gone, and each burn takes a fair proportion of the fuel stores. What does this mean for storytelling? Well, most of the journey is spent at zero acceleration, coasting towards your destination without burning fuel, and without any sense of up or down. It took the Apollo astronauts about three days to get from the Earth to the Moon (and the same back again, after doing stuff on the lunar surface). 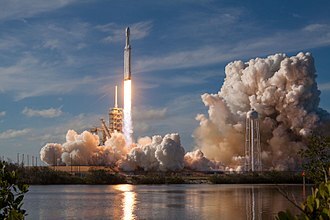 As and when SpaceX or whoever sends another rocket there, it will still take about three days – the time taken is a result of the coasting period without power, not the force of the engine. And because of the long zero-gravity sections, you need to be fairly well-trained to manage this. Now consider a trip to Mars. 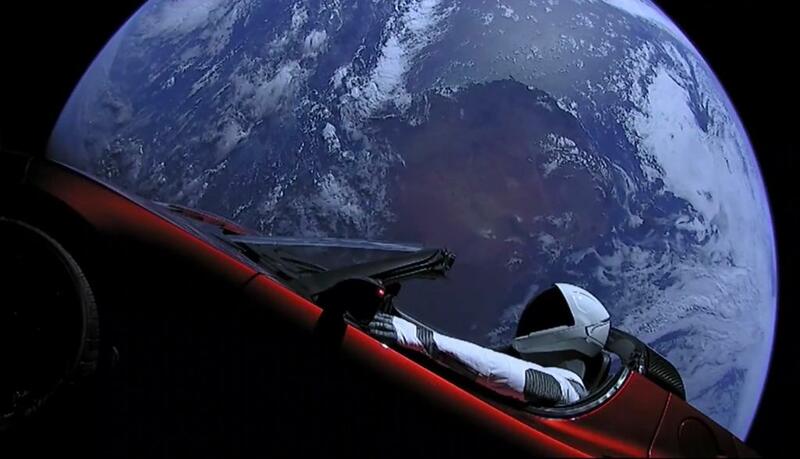 In February of this year, SpaceX launched a Falcon Heavy rocket, with payload of a Tesla car and suitable contents. It left Earth orbit and headed out on an orbit that goes out past Mars, but at a slight angle so that the two never intersect. Each orbit takes 557 days to complete, so at this point not even one has been finished. 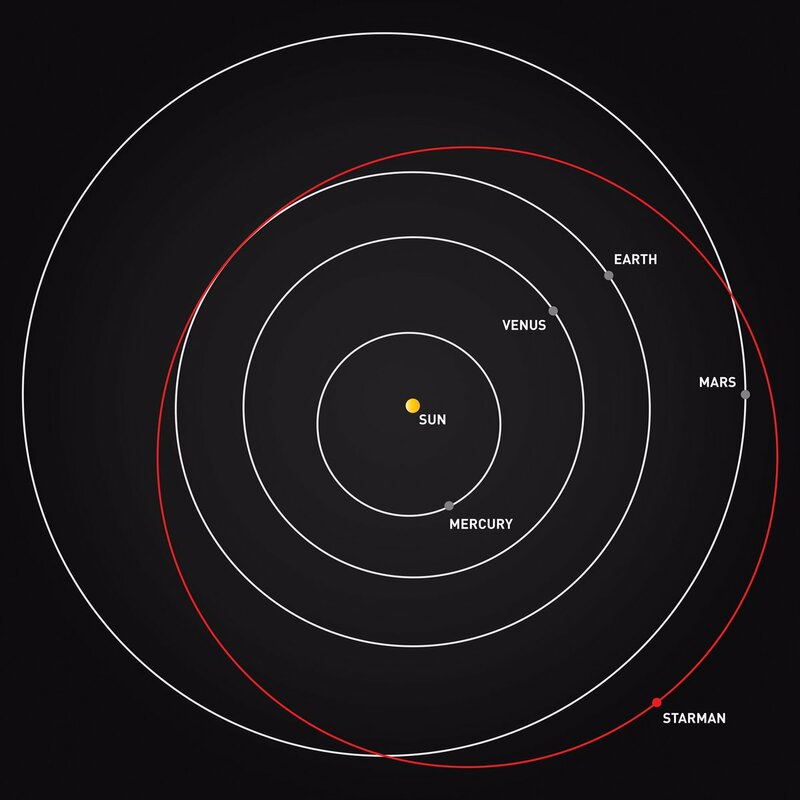 The payload – a Tesla car – passed by Mars orbit a few days ago, after about eight months. Now, this rocket had not reserved enough fuel to slow down and enter Mars orbit – it was a vivid proof of concept for SpaceX, not a real attempt to land on the Red Planet. But basically, if a human crew does the same journey in the same rocket, it will take them about eight months to get there – eight months of zero gravity, unless rocket design changes to include a kind of pseudo-gravity produced by rotation, as in the Hermes spacecraft in The Martian. Getting out into the solar system on chemical rockets just prolongs these figures. 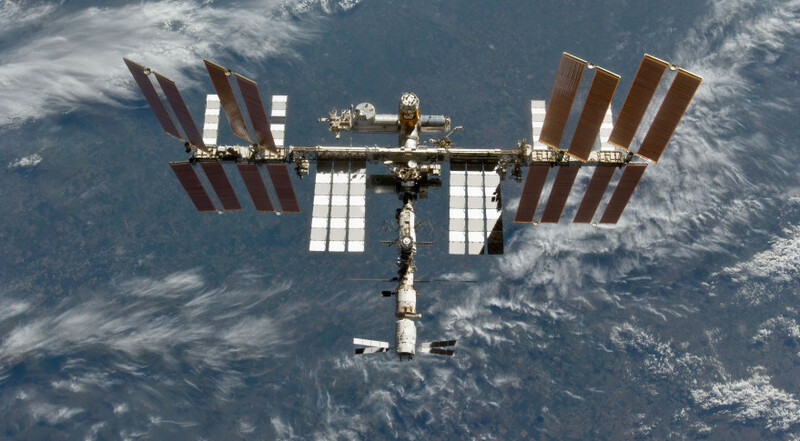 Potential astronauts have to cope with months, if not years, of isolation and low gravity. It is just not viable to send people there, which is why the present focus has been on sending hardware and instruments. Enter the ion drive, as used on Dawn and a handful of other craft. It is, in some ways, the opposite of a chemical rocket. It produces small amounts of drive thrust continuously for a very long time. NASA estimates that the thrust of the engines on Dawn is roughly the same as what you feel when you hold a piece of paper on the palm of your hand. 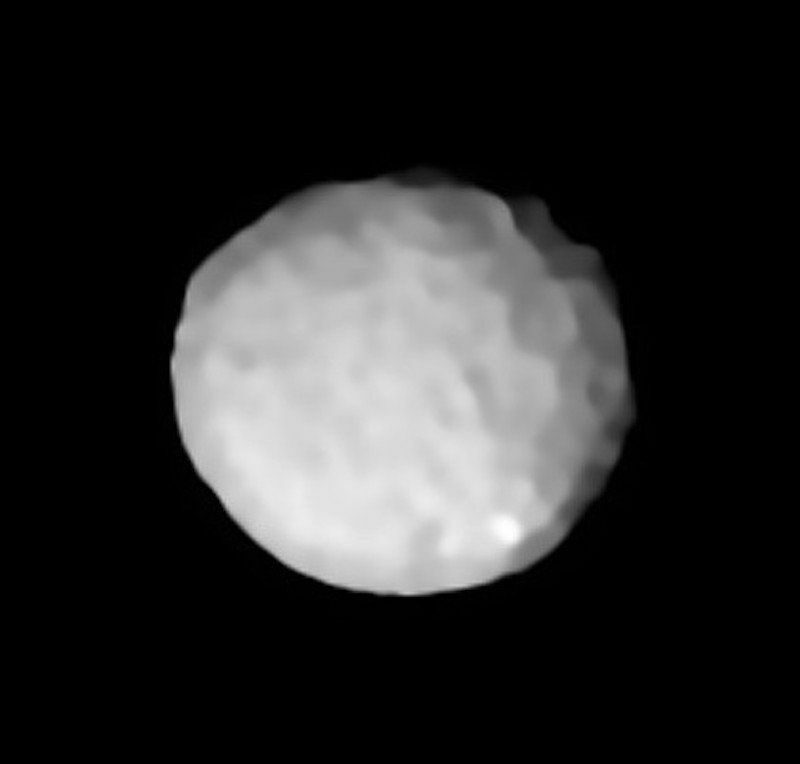 It’s quite useless for getting off the Earth’s surface – you really do need something powerful for that – but as a way to get you from Earth to Vesta… or Vesta to Ceres… From a standing start in free space, Dawn would take about four days to go from 0 to 60 mph. But that ion drive just keeps piling on speed. Dawn’s engine ran for a total of about 2000 days during the mission – over 5 years. Now, if you have an engine that is always-on, your whole picture of the solar system changes. Let’s suppose you keep accelerating to the mid point, then flip over and decelerate the rest of the way, so that you get to feel a constant gravity all the way. Then further is more efficient. In twice the time you can go four times the distance. Or, to put the same thing another way, to go twice the distance takes less than one and a half times the time. Of course, Dawn’s motors were still early versions of the design, with a low thrust output even at maximum. For my stories, I’ve assumed that the design can be enhanced to give an acceleration equivalent to 1/20 of that at Earth’s surface – considerably less than what you get on the moon. It would take some getting used to, but it means that your body and brain have a clear sense of up and down, and all those physiological functions that need gravity have a good chance to keep going! What does this mean for travel time? That works for storytelling – it’s not very different from journeys that people would take by sail back in the day. For example, an 18th century trip from England to India would take something like four to six months. Once the Suez canal was open, this reduced to about two months. People will put up with a journey like that for all kinds of reasons. So that’s roughly how you can imagine the solar system of my science fiction novels – a bit like our world was in the days of sail and early steam ships. Here’s a short extract from Timing, in which journey time gets discussed a bit. Meanwhile, RIP Dawn! 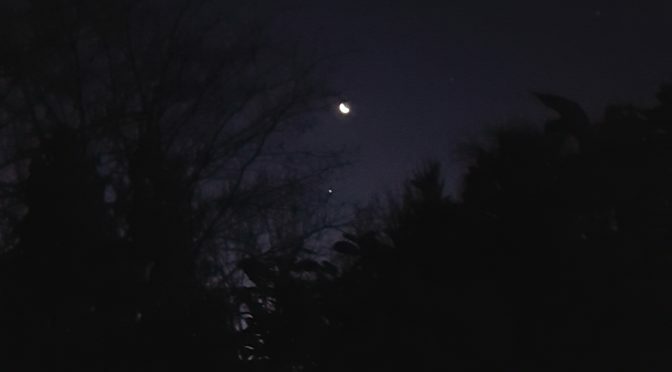 Then, quite suddenly, I had been sent all the way to the Jovian system. That would have been fair enough after the local jobs, but it turned out to be a false alarm. One of the analysts thought he had seen a recurrence of an old scam, running out of the Callisto hub. 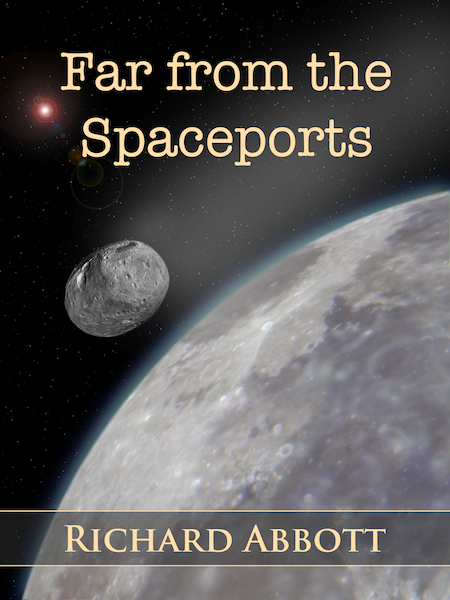 So off we had gone – a long journey for both Slate and I, and when we left Earth orbit the planetary alignment meant there were no friendly stopovers to break the journey. Once we got there, the two of us had poked around, wormed our way into this module and that, but found nothing. To be sure, we confirmed that the reported irregularities were real. We had easily managed to find the batch runs where the credit had gone missing, by comparing input and output. It happened every time a specific input value was missing or unreadable, and a default value had to be assumed. But the chosen default looked right and we couldn’t find root cause. The code was non-standard, and frustratingly weird, but there was nothing obviously suspicious. The logs were so skimpy as to be almost useless. It did not seem to be the kind of task that needed our skills, nor to be as much of a problem as the analyst had first thought. When it was over, and having drawn a blank, we sent a summary report down to the Finsbury Circus office, suggesting that perhaps it would be more effective to send an accountant. We had managed to get four weeks out of the work, but it still felt like a long drag for not much return. To be fair, it was unusual for the analysts to make a mistake like that, so I was professionally polite rather than curt. Then it was time to warm up the engines of our sloop, the Harbour Porpoise, and off we set on the homeward leg. I was all set for a boring journey back down the gravity hill to Earth, but Slate found an orbital option which would take us right past the Scilly Isles. That settled it. We deserved a reward for our fruitless diligence. So we changed the navigation plan, sent some messages ahead, and here we were. Elias, my manager back in London, had made a token protest at the diversion, but I told him that the Harbour Porpoise needed servicing and the delay was unavoidable. Anyway, a couple of hours signal lag meant that we were already en route by the time his answer came back. We just said that we didn’t have enough reaction mass for such a radical course change. It might even have been true, though I was careful not to ask Slate for a technical analysis, and she was just as careful not to offer one. Regardless of that, we weren’t minded to listen. Slate and I both reckoned that we deserved the break. Six weeks of voyage out to Callisto, and four weeks of fairly dull work had not made us receptive to a tedious trip straight back home again. It would mean nearly three months’ travel time for just one month of work, and we weren’t about to just put up with that without an argument. Right. New Horizons. After the Pluto flyby, the natural question was, what next? There was enough fuel and energy reserves to consider a small course change… but to what end? Pluto is at the inside edge of the Kuiper Belt, a tenuous and very sparsely populated volume of space. Over the last few years, we have been steadily gaining information about some of the contents, many of which have hugely elongated orbits. The big prize out there is the possibility of a really sizeable planet, acting as a gravitational shepherd to coax the smaller bodies into resonant patterns. Planet 9 has not yet been found, but several smaller bodies have. And one of them, catalogue number KBO 2014 MU69 , happened to be well placed for New Horizons. So, an appropriate course change was made as Pluto dwindled into the distance, and KBO 2014 MU69 – now provisionally renamed Ultima Thule – became the next goal. But distances out in the Kuiper Belt are large, so there has been a considerable wait. Ultima Thule is about 12% further away from Earth as Pluto is. The actual flyby will occur on January 1st next year, and at this stage we still don’t really know what to expect. The Hubble telescope orbiting Earth shows Ultima Thule as just a slowly moving point of light. New Horizons is about 33 million miles away from it – about 1/3 the Earth-Sun distance – and still can’t resolve it to more than just a point source. We cannot make out any surface detail. We don’t know if it’s roughly spherical, or irregular, or even a little cluster of fragments all moving together. Just about all we know is that it’s less than 40 km across, and although very dark by the standards we are used to in the inner system, is slightly more reflective than expected. After sending the Pluto and Charon data home, New Horizons went to sleep for a couple of years, with a wake-up call in June for some of the instruments and a course correction. It is now being prepared as best we can for the encounter. It’s a fascinating problem – light or radio signals take around 6 hours to cross the gulf between us and the probe, so there is no possibility of direct control. Any reply takes another 6 hours to get back. The systems have to be set up in advance, according to our best guess of what will be there. The final course changes will occur in mid December, when the ground crew wil decide just how close to steer towards Ultima Thule. In one sense, the nearer the better… but the higher the risk that the probe will make brief, catastrophic contact with some fragment of rock and ice. On the day, the probe will whistle by at over 30000 km/h, so there’s no opportunity for second chances. Whatever sequence has been set up in advance, will be played out without modifications. After that, New Horizons will spend the better part of two years streaming the data back to Earth. So although the rendezvous will be a New Year treat, we shall have to wait a long time until we get any high-resolution images or other data. 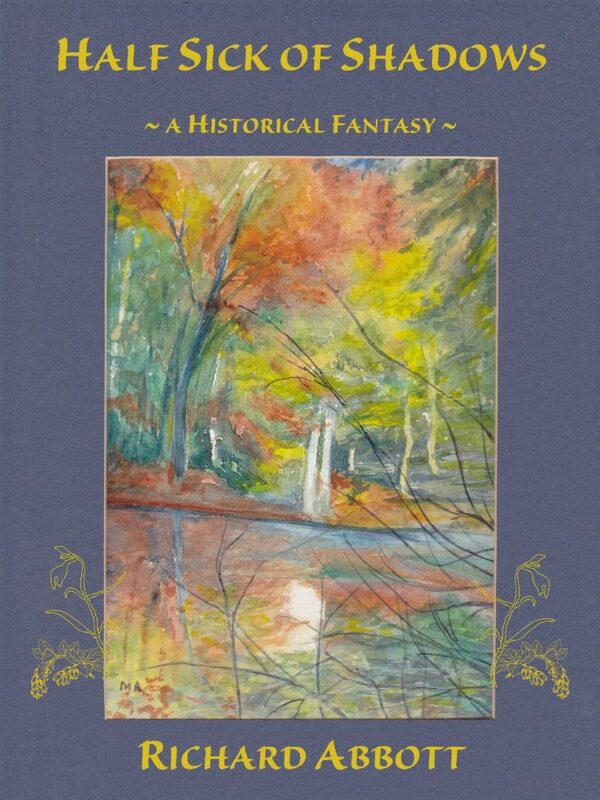 Nina walked steadily along the winding curves of Lethe towards Asphodel. The house AI had finally told her where Lance’s quarters were situated in Acheron, and had transferred directions onto a hand-held to direct her there. From space, the overall shape of the Charon settlement had been clear – five sinuous linear habitats, following curves in the underlying terrain and joined radially to Asphodel. When you were actually down here, it wasn’t nearly so neatly divided. There were extra little corridors and alcoves which broke up the superficial symmetry, and little tunnels that dived underground and then resurfaced at unexpected places. She was glad that the little hand-held router buzzed faintly at junctions to tell her which way to turn. 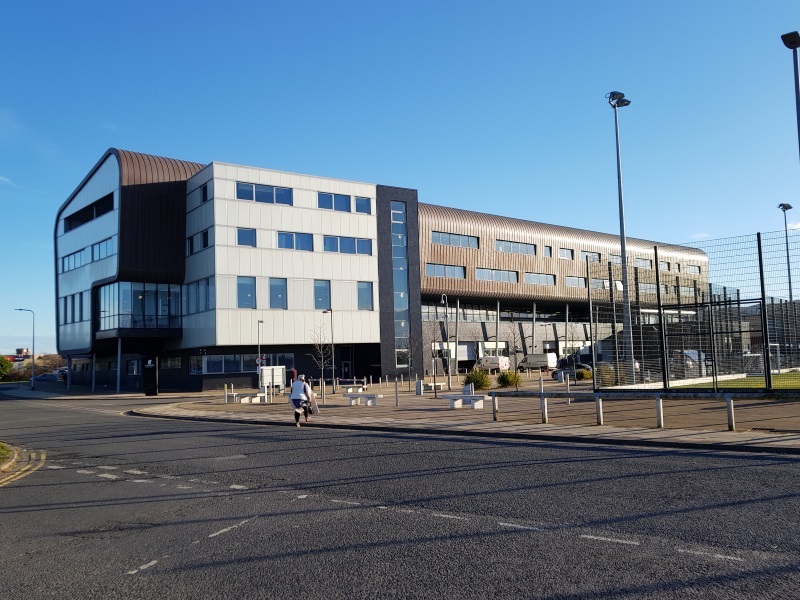 A short post this week, mainly consisting of two extracts, one each from Far from the Spaceports and Timing. These are both on Kindle Countdown deals from this Friday, October 26th, for one week, price set at £0.99 / $0.99 depending which side of the Atlantic you’re on. More of that later… here are the extracts. I sat back, bouncing a little as I forgot to adjust the move for the low gravity. I considered that soberly, while she was tactfully not replying. It was definitely something to think through on another occasion. I stayed silent and thought about it for a long time, and Slate stayed silent with me. There was a very short pause. I moved to the cabin, pulled out some of the new pieces of clothing which, so far as I could tell, would help me fit in at the Frag Rockers bar a lot better than the formal garb I had worn to see the Wise Man. I wanted human company again, so I stretched and went in search of Parvati. She was brewing chai as I wandered in to the kitchen. Seeing me, she doubled up the amounts, found a second mug, and arranged some savoury crackers and a red and yellow striped cake on a tray. We moved back to the bridge and enjoyed the snack together. I very definitely was interested. We finished the crackers, and she sliced two generous portions of the cake. I nodded. It was a highly specialised area, and one that I knew next to nothing about. But it made sense that a man with those skills would have an opinion on data recorders. I sat there, absorbing the news. It made sense that these units would go into an automatic reboot mode if they went dark for some reason. Normally that would restore them to full operation in plenty of time to carry on doing their job. But in this case, the boat had hit Teän before they had started up again. I stirred in my seat, but Slate beat me to it. I paused, and Parvati continued. Why the Countdown deals? Well, the last day of October marks the last day of my current job in London. 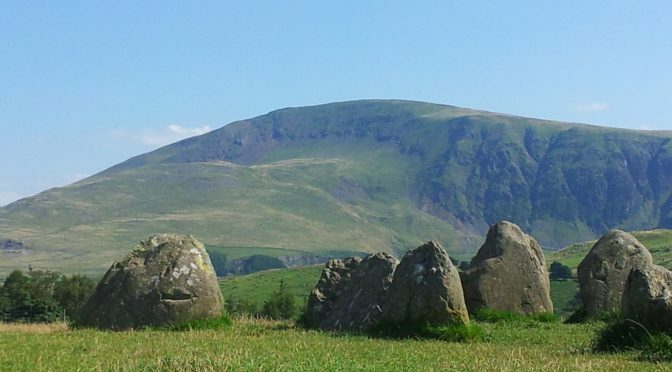 I shall be opening a new phase of working life up in Cumbria. Expect more posts about life up there. So it seemed fitting to post some extracts, and to discount on Kindle, my science fiction series where coding, AI, and financial fraud in space are the main themes. But I’m not saying goodbye to that style of writing! As regular readers will know, The Liminal Zone shares a lot in common with those books, though it has a different focus and is set a couple of decades further in the future. And behind that, the third in the Spaceports series is toddling along, tentatively named The Authentication Key at present. Next week’s post will still be from London, but the one after that will be from Grasmere. And don’t forget… there’s a week of Countdown deal on each of Far from the Spaceports and Timing! 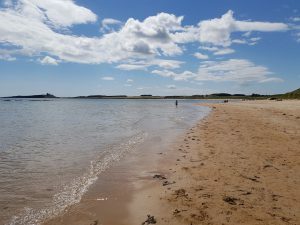 Last weekend I was up in Northumberland, and on the last day – Sunday – visited Embleton Bay. The last time I was here I was walking the Northumberland coastal path, heading north towards Lindisfarne. This time it was just a short walk along the beach, and for some of the family, a splash in the sea. Embleton Bay is one of the many scallop shaped dips in the northeast coastline. 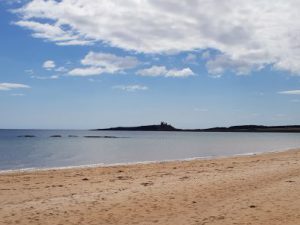 It is low, with dunes on the landward side rather than cliffs, and the view to the south ends with the splendid ruins of Dunstanburgh Castle, dark against the vivid blue sky. Shayna has probably had the thin end of the story so far, but as and when I write the third book in the series, provisionally called The Authentication Key, she should get more narrative attention! I was away in the Northumbrian national park, walking the Bernician Way with nothing but one of the recent model v-tents and Shayna. Neither of us were at all interested in walking long-distance footpaths, but we both liked the absence of neighbours. A couple can make a lot of noise out in a national park, without thinking someone else might be disturbed. But there it was, that morning, the message alert blinking silently on my shirt lapel where I’d discarded it for swimming in the North Sea last night, almost hidden by Shayna’s NuFleece. She might not like long distance walking, but she loved the prospect of skinny-dipping in sea water not far above freezing, and then thinking of inventive ways to warm up. That was so much easier when you could come out of the water and straight into a v-tent micro environment set at whatever climate you wanted. Right now we were in a Middle Egyptian May – temperature, humidity, everything. Shayna liked to say that the chosen location was part of her genetic heritage, and she was in search of her roots. I was never sure about that, but I had no great preference myself. She had configured it just as soon as I had set the tent up, and it had taken under a minute to climatise itself. So all through the night, with a North Sea winter gale blowing up and down outside, there we were in the Valley of the Kings. You didn’t mind so much going into cold water with all that warmth waiting. We’d polarised the fabric, silver from the outside and clear from the inside, and we lay together watching the half moon slide in and out of the curving clouds. We’d arrived at low water, but I’d pitched the tent well up the beach, on a strip of pale sand between some levels of flat rock. High tide was in the early hours of the morning, and the waves had washed close up against us in the cosy dark. I scowled at the lapel badge, wondering if there was any way to pretend I had not seen it. There wasn’t, not really. Slate would have acknowledged receipt of the incoming at the same time as redirecting it, and would have tagged its reception with all kinds of logging. It was far too late for me to try hacking anything. The real question was whether I could get away with avoiding it for more hours than I had already, but I already knew the answer to that one as well. I tapped the lapel, and listened to the message sullenly. Recalled to London… first opportunity… Twelve hour SLA. I sighed, and entered the release commit. Slate would do the rest for me. Then I turned to look at Shayna. 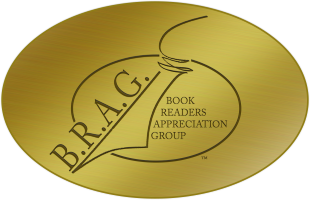 There she was in the morning light: brown skin enjoying the warm air, dark hair spilling over the pillow, and dark eyes opening with an air of frustration as she saw me working the lapel. She closed her eyes again briefly, but I could see the little muscle movements in her face as she interrogated her Stele. Rocky, she called him, and he was male in persona as well as voice. It was fair enough: Slate was undeniably female. I loosened a vent a notch or two, listened to a sudden gust of wind, imagined what the air and water would be like. She reached past me and tapped the door release, inviting the gust inside the tent where it contended unsuccessfully with the thermal regulation. I shook my head, but got out and stood up anyway, naked in all that volume of cold rushing air. The tide had fallen again, and the sea froth was a little way down the beach. Shayna pushed past me and ran, arms waving above her head, shrieking with excitement as the wildness of the wind encircled her soul. I followed on, but she reached the water well before me, and threw herself in to the tumble of the waves. Twenty years ago I would never have done this, but things had changed. Anyway, she was right: wherever I was going, it wouldn’t have wind and waves like this. I followed her. It had been a long day. An icy bathe first thing in Embleton Bay, followed by Egyptian warmth. Then down to London for the first briefing, and some intense training sessions on commodities. Slate had uplinked a whole library of reading material on the subject, from finding the stuff right through to trading it. But I stopped at the point of trading, and even today I have very little idea how rare earths are actually used. But by the end of the journey I would sound totally convincing on the important parts of the subject. Finally, a second briefing with Elias, and a scramble to Euston to catch the overnight to Findhorn. I had intended to gaze forlornly out of the window as I hurtled past Alnmouth again, this time heading north. However, fatigue had got the better of me and I was dozing at the time, propped up in a corner. I surfaced again somewhere well north of Dundee, just as it was getting light. On the east coast line, most of the trains stopped in Edinburgh, but this was the Spaceport Special, non-stop right the way through.